Arvind Panagariya’s is one of the most elegantly done up offices in Lutyens’ Delhi. Its modern furniture is arranged to create multiple work areas, and the spacious office is enlivened by the Madhubani paintings on the walls and miniature potted plants placed in nooks and corners of the room. The get-up can at best be described as contemporary yet Indian – minus the flabbiness. This makeover is in tune with a major policy change of the Narendra Modi government. 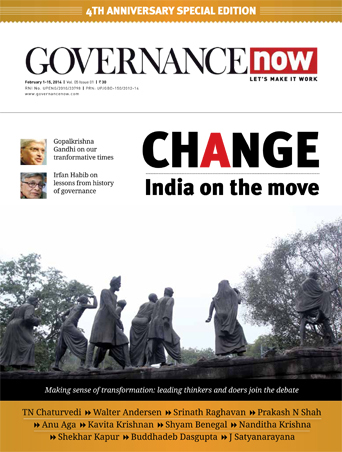 As soon as Modi took over as prime minister in May 2014, he decided that the 64-year-old Planning Commission had outlived its utility; new age India could do with a more energetic policy-making body. The National Institution for Transforming India (NITI) Aayog came into being. At that time, the Rajasthan-born Panagariya was teaching economics at Columbia University. He had already made a name for himself as an economist with a vision, worked with the World Bank, International Monetary Fund (IMF) and UNCTAD. In his writings and books, Panagariya, 64, had been highly optimistic about India, and in his several papers for Columbia University, he had compared the Indian and Chinese growth stories. No wonder, when Modi abandoned the Nehruvian-era Planning Commission and replaced it with a more dynamic NITI Aayog, he chose Panagariya as its vice-chairman. Senior bureaucrat Amitabh Kant, another brilliant mind and the mover behind the ‘Incredible India’ and ‘God’s Own Country–Kerala’ campaigns, was made its CEO. NITI Aayog is about sharing ideas and exploiting synergies between states and the centre and among states. Panagariya explains that among other things the Aayog identifies the best practices introduced by some states and disseminates them to others. It has provided a platform for states to share their experiences and learn from each other. For this, the Aayog frequently holds meetings of chief secretaries and other state officials. For example, Rajasthan was the first state to bring in changes in labour laws, allowing companies with up to 300 workers to lay them off without seeking permissions from the authorities. The earlier limit was 100, and it made owners of unviable businesses feel trapped when they were in financial crises. This reform, Panagariya says, is a small but very important step in seeing India emerge as big a manufacturing hub as China. “We are overwhelmingly populated by small, often micro, enterprises especially in labour-intensive industries such as apparel, footwear and even electronics,” he says. Even today, when apparel is not China’s main export, the value of garments it exports stands at $175 billion; but India, with its rich tradition of cloth manufacturing, exports apparel worth only $18 billion -- ten percent of the dragon’s footprints in the global market. Now, the labour reforms initiated by the Rajasthan government will facilitate the industry’s growth beyond the small and medium sector. No wonder states like Andhra Pradesh and Madhya Pradesh have already adopted the reform while others are also mulling over this crucial change. Gujarat has gone farther by allowing firms of all sizes in special zones to retrench workers provided they pay 60 days worth of wages for each year worked. “To create formal-sector, high-productivity jobs that pay good wages, the existence of large-scale enterprises is crucial,” Panagariya says, explaining why Gujarat and Rajasthan’s moves are path-breaking. Meanwhile, Karnataka introduced the concept of e-mandi, through which farmers can auction their produce to the highest bidder anywhere through the digital medium and potentially escape the middlemen, who end up inflating prices for consumers and leave farmers with poor returns. This idea was converted by the central government into the electronic National Agriculture market (e-NAM) platform, which is intended as an all-India electronic trading portal linking existing mandis to create a unified market for farm produce at the national level. Farmers can get real-time information on prices, availability and buyers, handing them better control over the prices of their crops. NITI Aayog is also offering to play mediator in bringing speedy resolution of states’ issues pending with central ministries. Our conversation shifts to India’s growth story. In his book, India’s Tryst with Destiny, co-authored with his mentor Jagdish Bhagwati, Panagariya argues that ending poverty requires rapid economic growth. When asked about unemployment, Panagariya says that the reports of the National Sample Survey Organisation (NSSO), based on the employment-unemployment surveys, consistently places the unemployment rate at 2 to 3 percent using the most liberal definition of employment and 5 to 8 percent using the conservative definition. Panagariya, who has studied the Chinese model of the economy, says its experience has some lessons for us. He further explains: even before China had become an economic powerhouse of the world, the world had seen the high productivity-led growth of smaller nations like Singapore, Taiwan and South Korea. However, after embracing the market economy, China has upped the game of scale; their largest firms employ as many as 2-3 lakh persons, which drastically brings down production costs. China’s factories are today able to meet all global demands of manufacturing. It also has small and medium enterprises but having to either supply their product to larger enterprises or to compete with them, they too must enforce a high degree of efficiency to remain in the game. Even within India, Panagariya points to the information technology (IT) sector to underline the importance of scale. “IT is a model of efficiency partially due to its scale and volumes. We have large companies like Infosys, Wipro and TCS, which have helped push our software exports to over $100 billion.” Besides, he says, India’s pharmaceutical companies are also globally competitive as these had both scale and volume. I ask him if it makes a difference when it comes to taking decisions and implementing change, that India is a democracy and China an authoritarian state. Panagariya explains, saying that democracy makes decision-making more difficult but it is not in the way of high growth. Decisive leaders have successfully implemented policies that have pushed our growth from below 4 percent to 7-8 percent. When asked whether rising protectionism in the western countries does not make export-oriented strategy unviable, Panagariya says that we are still operating in a very large global market. “Today, China has nearly 13 percent share in the vast $17 trillion global export market while India’s is just 1.7 percent.” What matters for India is not whether the $17 trillion market would shrink or expand the margin but whether we can capture 4 to 5 percent share in this very large pie. So, should India turn into a country of factory workers? Panagariya says growth without planners paying attention to education and skill development will not be sustainable. “We have neglected education and skill development for a pretty long time.” He says the quality of education in India should improve and children should be imparted more skills at the foundation stage. He appreciates the recent announcement of the Central Board for Secondary Education (CBSE) on resuming the annual examination regimen for school-going students. Does it not mean that rote is back in vogue and one of our leading economists is supporting it? “I understand that the education system lacks many things, but right now evidence suggests that the no-exam regime is leading to poor learning outcomes. We need to test students so that we can also learn whether their teachers are performing their duties diligently. Our conversation moves to prevalent myths and misconceptions about growth and poverty in India. Some think that India failed to reduce poverty during the initial decades due to preoccupation with growth and neglect of poverty as the principal objective of planning. He points out that the objective of India’s planning was always poverty reduction with growth being an instrument. Way back in 1938, the Congress set up the Planning Committee with Jawaharlal Nehru as its chairman. The issue before the committee was how India should plan once it wins freedom. And the committee felt that there couldn’t be a plan without an objective. It quickly came to the conclusion that the objective had to be poverty reduction. And because poverty was so widespread and overall income so low, redistribution alone could not rid the country of poverty. Growth was essential. Panagariya strongly defends Modi’s decision for demonetisation. “How could you anticipate that people would actually reconcile to as drastic a move as this one while it added to their misery?” I asked him. 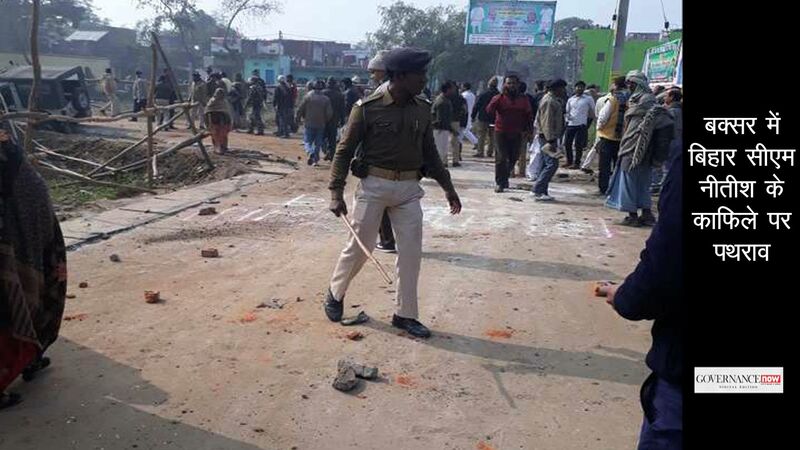 The public approval of the policy came when BJP won a landslide in Uttar Pradesh even as a section of the media was busy reporting popular sentiment against demonetisation. Panagariya smiles and says, “Everyone, particularly the media, was looking at one side of the story. The big picture is that the men and women who were standing in the queues outside banks to deposit or withdraw money were feeling happy that finally there was a leader who showed courage to directly attack the wealth of the corrupt. “Till demonetisation happened, the common man had felt that the corrupt are allowed to get away. The common man appreciated that the prime minister had made good on his promise not to let the corrupt live in peace. They understood that demonetisation was aimed at those who have black money and not the poor,” he says. 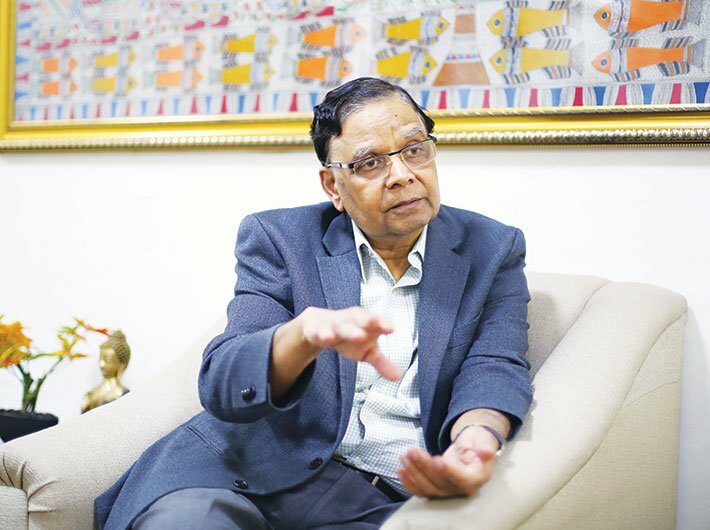 Panagariya has expressed scepticism towards the idea of universal basic income, which has been mooted by chief economic adviser Arvind Subramanian in the latest economic survey. He says that the UBI is not feasible for a 1.25 crore population because of limited resources. But hasn’t the J&K government launched the first targeted UBI for construction workers despite low resources? He explains that this would constitute cash transfer and not the UBI, which has to be for all and not targeted. Cash transfer to the poor is an idea he supports. He says that we are already giving cash transfers in some areas such as in the disbursement of the subsidy on cooking gas. The idea of letting the beneficiaries choose whether they want cash or in-kind transfers through the public distribution system is also good as people get the right to choose. I lastly ask him if it bothers him that the burgeoning population of India is offsetting all developmental goals of policymakers and planners. He says that whereas in the past we considered population a “problem,” today we think of it as conferring “dividend.” Our vast youth is our major strength today. Indeed, shrinking and aging population today are seen as a problem. Our own experience is that today with larger population our economy is growing a lot faster than it did in the 1960s and 1970s when our population was smaller. Remember that a larger population also gives you the opportunity to achieve larger scale in many labour-intensive economic activities. Many western countries are unable to sustain growth because there are less young and have fewer working people around.